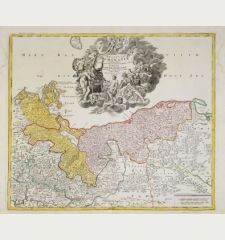 Coloured map of East Prussia. 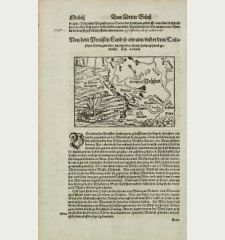 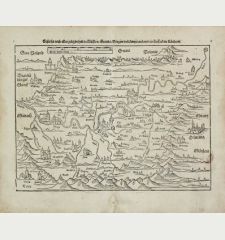 Printed in Cologne by J. Bussemacher in 1593. 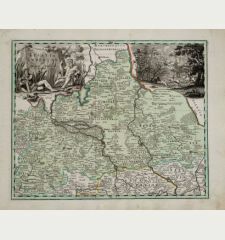 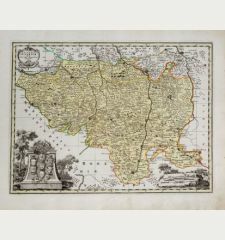 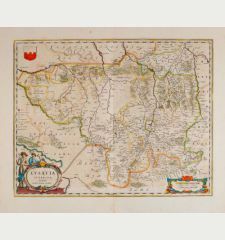 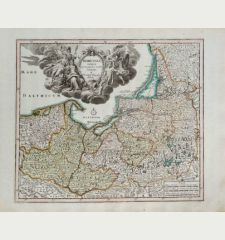 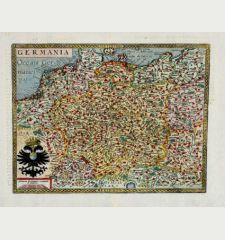 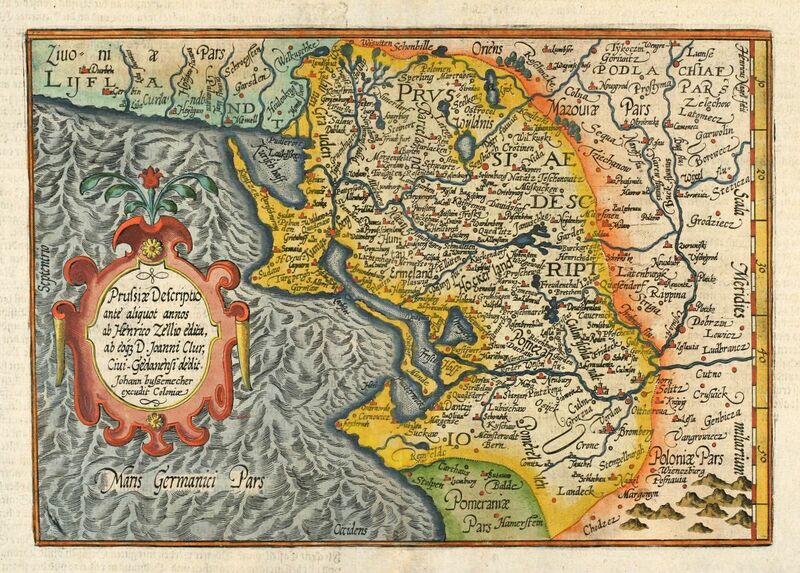 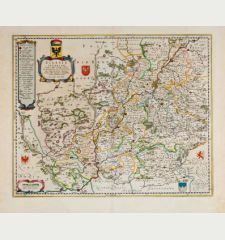 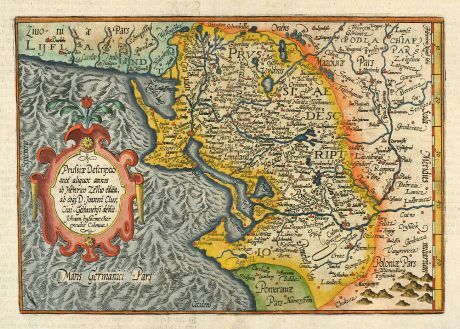 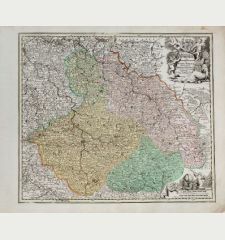 Beautiful handcoloured map of East Prussia in Poland. 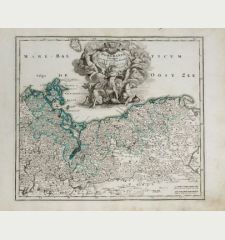 Showing the area Konigsberg (Kaliningrad). 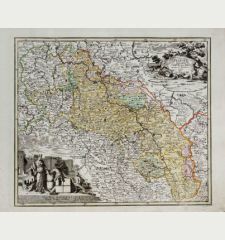 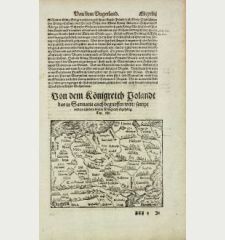 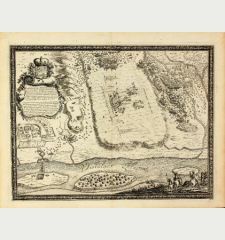 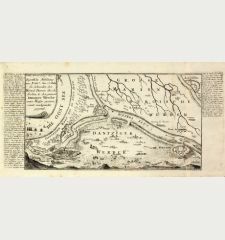 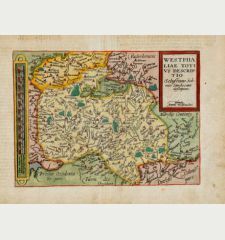 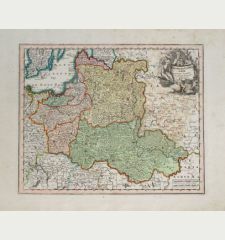 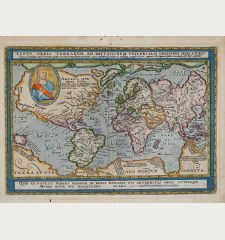 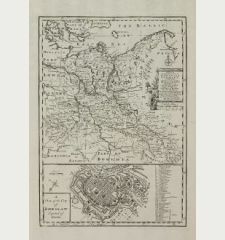 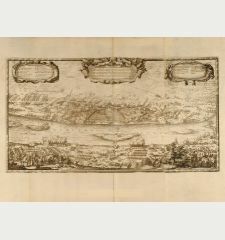 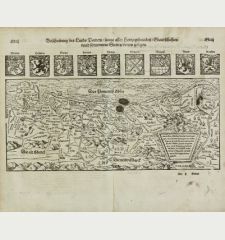 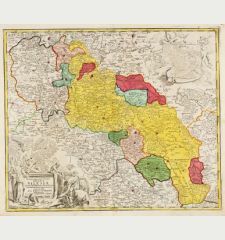 From "Geographisch Handtbuch" of M. Quad by J. Bussemacher. 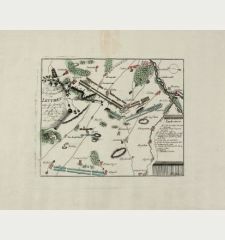 Lower centrefold backed in margin, excellent conditions in beautiful colours.